What’s the secret to a runway-worthy facial glow? There’s no “one size fits all” answer, since everyone’s skin is different; but we’ve got helpful tips on how to get a gorgeous glow no matter what your skin type. Learn which oils are the best to use in your unique skin care routine and add them to create a luxe moisturizer that complements your complexion. 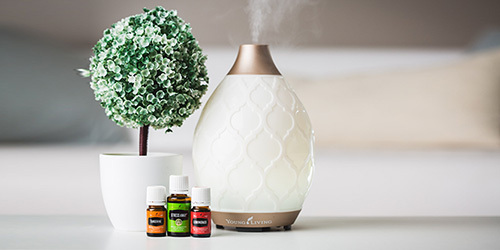 Check out our top seven essential oils—and nine honorable mentions—then enter our giveaway at the end of the post to win one of these oils for yourself! Start your morning and end your evening by cleansing and moisturizing your face. Pamper your skin by exfoliating a few times a week. Create a habit of giving your skin TLC with custom products that work for you. Whether your skin is sensitive, dry, or oily, making your own formula is simple by adding 10-15 drops of essential oil for every 2 ounces of your face lotion. For dry skin: Your face may crave moisture but avoid heavy lotions that don’t absorb well. Choose a formula you can massage deep into your complexion to relieve dryness. For oily skin: Did you know that using oil in your skin care can help balance out the natural oils your already possess? Reach for oils that target the appearance of blemishes to give your face a fresh look. For maturing skin: Over time skin changes and requires more moisture. Look for oils that boost the appearance of youthful-looking skin. For neutral skin: Not too oily, not too dry? Mix your approach to target oily spots and moisturize dry areas using specific oils to get that custom blend that’s just right for your face! YL tip: Essential oils can do more than add moisture. Many of them have cleansing properties and other perks. Harness the benefits of these essential oils and boost your skin care routine! Mix and match these oils to create the best combination for your face. Soak up the moisture and start glowing! Bring out a bright, clean, fresh look with Manuka! Its constituents (leptospermone, copaene, and isoleptopsermone) work harmoniously to support the appearance of healthy-looking skin, all while you enjoy the warm, calming aroma. Benefits: Cleanses, refines, and highlights healthy-looking skin Bonus: Add it to your moisturizer after using LavaMint Softening Foot Scrub for nail maintenance. Royal Hawaiian Sandalwood invites warm, sweet notes into your skin care products and gives your face luxurious pampering. Radiate outwards with Royal Hawaiian Sandalwood! Benefits: Illuminates and enhances healthy-looking skin Bonus: Add it to your favorite creams and diffuse it during your nighttime routine to take in the sultry aroma. Relax and unwind with Lavender’s calming scent in your skin care products during your bedtime routine. 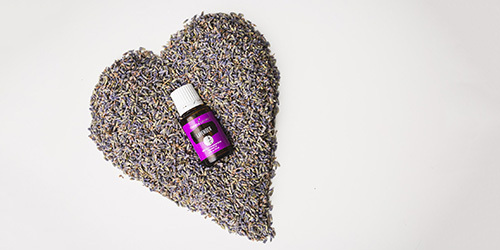 With all the benefits, there’s no mystery why Lavender is one of YL’s most popular essential oils. Benefits: Cleanses, nourishes, and boosts fresh, youthful-looking skin Bonus: Add it to your hair care products for the appearance of restored and revitalized locks. Welcome tranquility into your room after sundown by adding a few drops of Sacred Frankincense to your nighttime skin care routine. Use it to reduce the appearance of blemishes and enhance your even-looking skin tone. Benefits: Evens and highlights your complexion Bonus: Diffuse it during spiritual moments for tranquility and focus. Enhance your natural glow! Add Copaiba to your skin care routine for an extra boost of brilliance. Benefits: Moisturizes, comforts, and supports radiant-looking skin Bonus: Massage it into fatigued muscles with V-6 Vegetable Oil Complex or Cool Azul® Sports Gel. Let Cedarwood soothe your skin when irritation occurs or simply use it in everyday skin care products for its sweet, captivating aroma. Benefits: Cleanses, moisturizes, and soothes skin Bonus: Massage it into your scalp for the appearance of thick, healthy hair. YL tip: How many drops of essential oil do you put in lotion? Add a drop or two in your hand and mix the moisturizer before applying or put the oil directly in the bottle. Start with 10-15 drops per 2 ounces of lotion. YL tip: Need a little extra help? 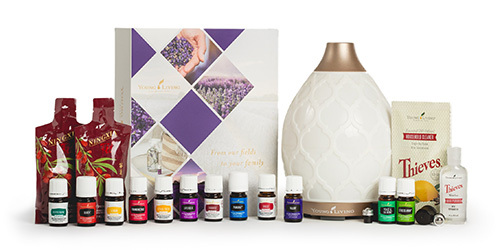 Young Living features a wide range of skin care products designed for different needs. Try Boswellia Wrinkle Cream to minimize the appearance of fine lines or our Essential Beauty Serum to restore your skin’s glowing look and let your natural beauty shine. *Keep out of reach of children. If you are pregnant, nursing, taking medication, or have a medical condition, consult a health professional prior to use. Avoid direct sunlight or UV rays for up to 12 hours after applying this product. The post You glow! 7 best essential oils to add to your face lotion appeared first on Young Living Blog.